Angels speak in many ways. I hear them best when observing nature. Yesterday while at the Christian Science Reading Room in town, when I first arrived, I stood at the double glass doors while admiring the lovely garden. 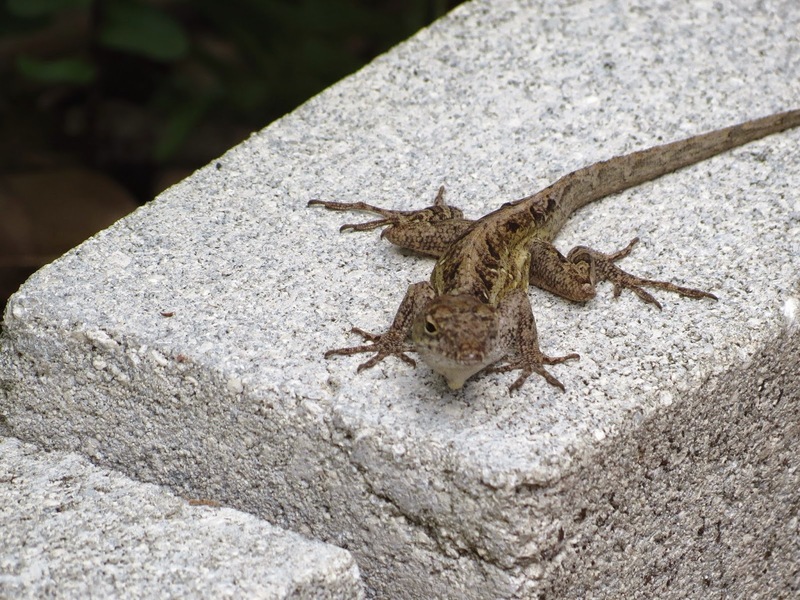 It was then I saw a little lizard. Facing my direction, he clung tightly to the outside glass door. He seemed to be stuck between two doors, the screen, and the double sliding glass door that led to the patio. I was happy to be there to help! Maybe he'd been waiting all through the night for a rescue. My friend, in charge, told me, he could probably get out the same way he got in. It turned out that she was right, the screen was partly open on the other sliding door and he could escape whenever he was ready. I let him be. I had a little laugh, instead of him waiting to be rescued by me, he was a messenger waiting for me. His presence became my advent calendar "door" for the day. "Freedom"
Lizard represents dream time, a message not to take this illusion so seriously. I had been praying about a loved one who was going through a severe testing period. The lesson of this lizard was a timely one. Although we, or our loved ones, may appear stuck at times with an issue, the answer is waiting if we can detach from the seeming problem and turn our focus to God. Then we'll be shown the way out. It was there all the time, we just couldn't see it because we were looking in the wrong direction. God is All. When I returned home, my prayer concern had been set free into a new light. Healing was in the wings. "Ask and ye shall receive. Seek and ye shall find. the kinship with All Life, don't you.